What is the Druze Religion? The majority of followers of the Druze religion live in Lebanon. 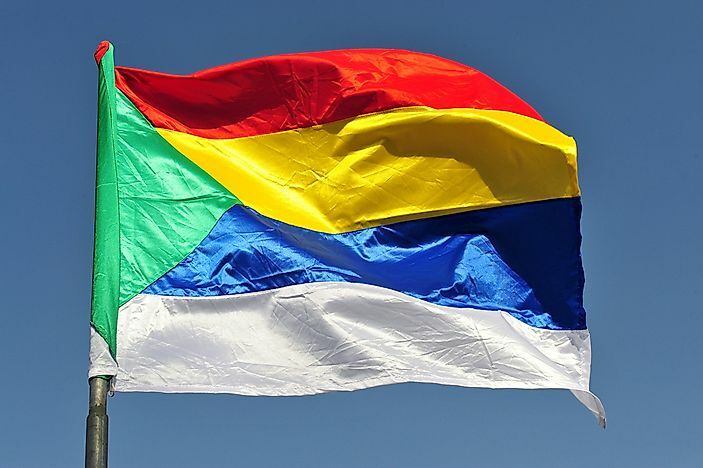 The flag of the Druze religion. The Druze religion is a monotheistic Abrahamic religion that is practiced in the Levant by people who identify themselves as “Muwahhidun.” The global population of the Druze people ranges between 0.8 million and 1 million, with the vast majority being found in the Middle East. Lebanon and Syria are home to an estimated 90% of all Druze people in the world. Syria has the largest population of adherents of the religion in the world, with about 0.6 million Syrians being identified as Druze. Many of the Druze Syrians inhabit the mountainous southwestern part of the country. Druze people in Israel account for about 7% of the global Druze population while Jordan is home to about 2% of the world’s Druze population. However, there are also significant numbers of Druze people in other countries around the world particularly in Canada, Australia, Colombia, Venezuela, West Africa, and the United States. Some sources claim that the religion is named after Muhammad bin Ismail Nashtakin ad-Darazi, a Levant and a preacher of the 11th-century. However, Druze discredits their association with the preacher because he is recognized as a heretic by the religion. Other sources claim that the term “Druze” is derived from the Arabic word “daresah” which means “those who learn,” while others state that the religion is named after one of its first converts, Shaykh Hussayn ad-Darazi. The term first appeared in the publications of Benjamin of Tudela, a 12th-century European traveler who visited Lebanon in 1165 and wrote of the “Dogziyin” who he described as monotheists who dwelled on mountains and believed in reincarnation. Hamza ibn Ali ibn Ahmad is credited as one of the pioneers of the religion. Hamza was a renowned Ismaili scholar who came up with the religion which was influenced by Gnosticism and ancient Greek philosophy. By the early 11th-century the religion had grown, and in 1014, Hamza visited Egypt where he organized a meeting of leaders and other prominent individuals to establish the doctrines of the faith. Three years later, in 1017 Hamza officially unveiled the Druze faith which also received support from al-Hakim, the then Fatimid caliph who later issued a decree that provided for religious freedom in the caliphate. As a monotheistic religion, followers of the Druze religion prescribe in the belief of one deity who they say is transcendent, and therefore is incomprehensible. The “Kitab Al Hakima” (translates to “Epistles of Wisdom”) is the sacred text of the Druze religion. Other important manuscripts in the religion are the Epistles of India or the “Rasa’il al-Hind,” the al-Munfarid bi-Dhatihi, among others. The belief in reincarnation is a defining characteristic of the Druze religion and is a dominant principle in the faith. The sacred places of prayer in Druze are known as the Khalwat, with the main khalwat being the Khalwat al-Bayada. Religious hierarchy is not recognized in Druze. Unlike other Abrahamic religions, circumcision is not mandatory in the Druze religion. Due to years of religious persecution, Druze people often conceal their beliefs and follow the dominant religion of the country in which they live.